Swiss dot fabrics are light, airy, full of springtime and full of small polka-dot detailing. 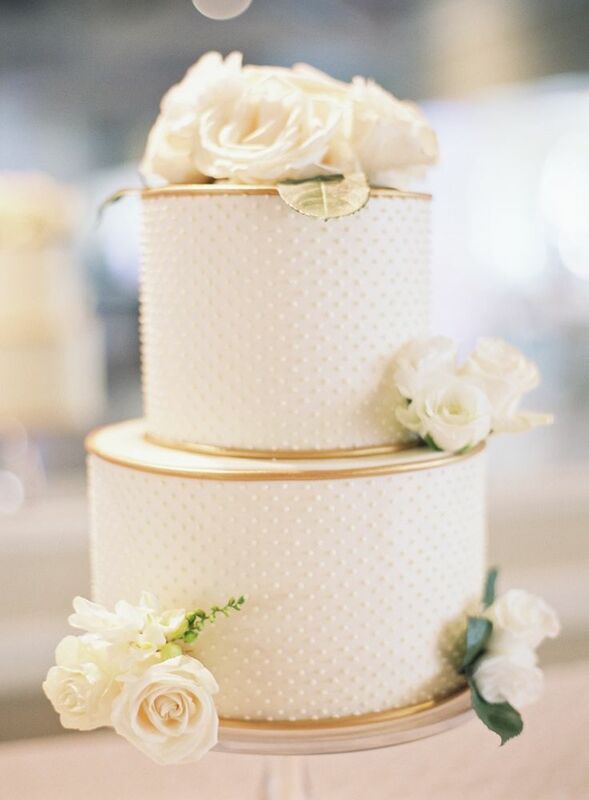 From the cake to the dress, these accents and this style is delicate enough to feel bridal and beautiful enough to decorate a wedding. 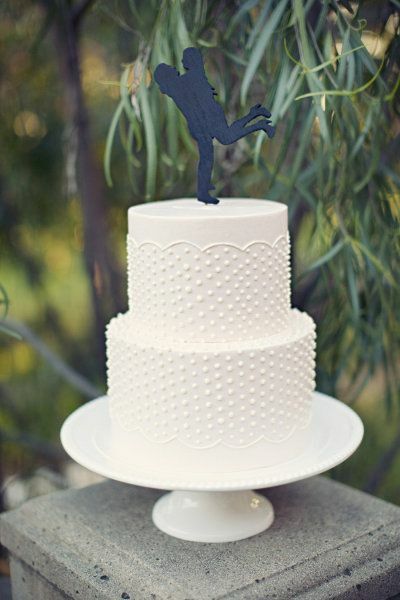 Let’s have a look at some gorgeous cakes and gowns full of the season and Swiss dot style that we can’t get enough of! This J. Crew wedding gown is full of preppy appeal and girlish charm. A gorgeous, black and white wedding topped with Swiss Dot details couldn’t be any sweeter. 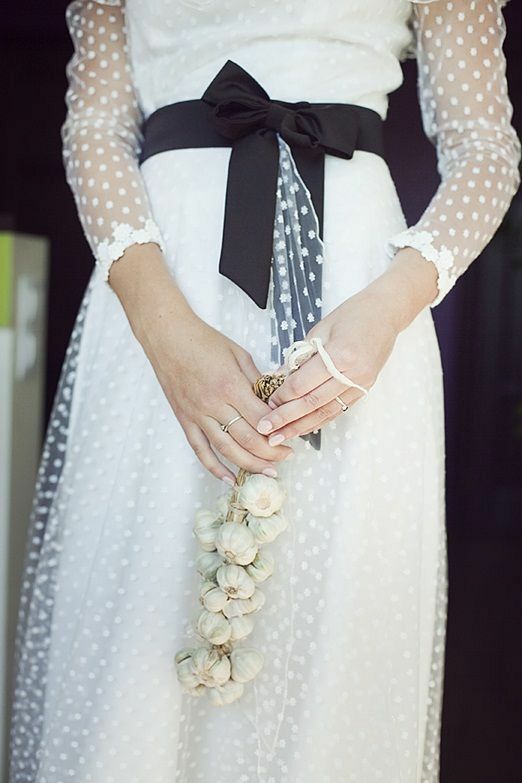 Even a Grace Kelly inspired gown could be accented in these polka dot cuties. 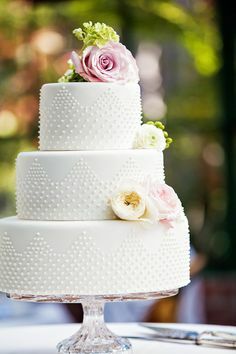 Even just a small dessert cake full of this detailing could add extra punch to the reception. A sweet, garden-inspired wedding could use a bit of this delicacy as well, don’t you think? 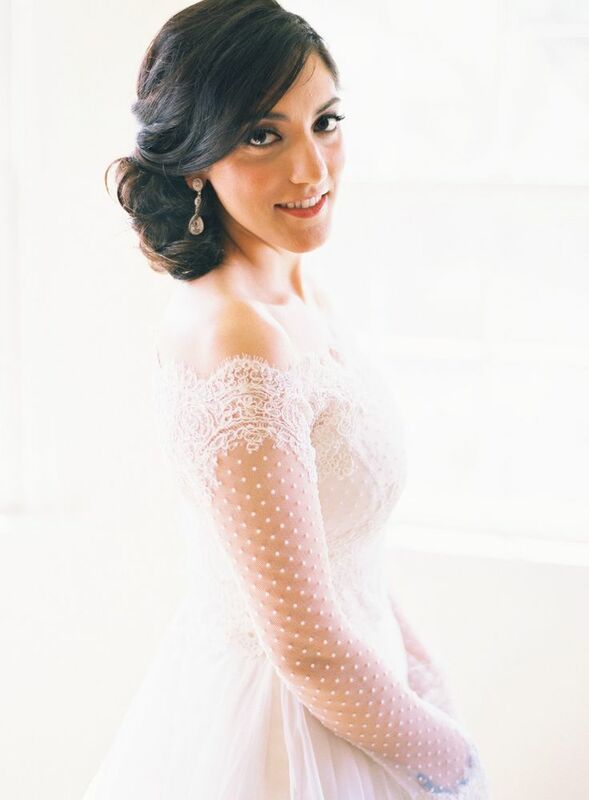 Here’s another example of a classic, wedding gown full of femininity and charming elegance. 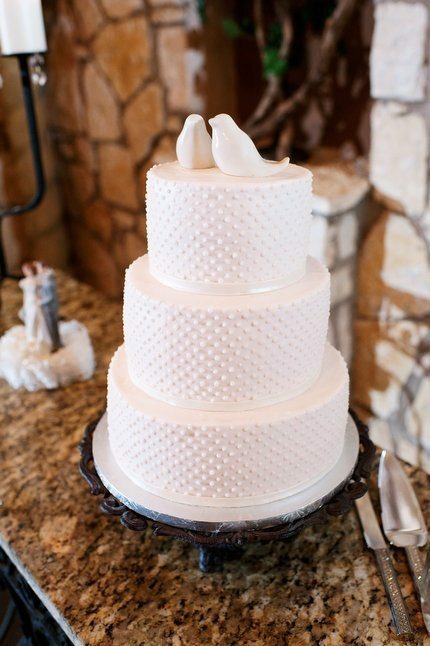 For a more formal look, jazz up these dots with some golden accents and floral embellishments (on the gown or on the cake!). The black sash adds some edginess to this gorgeous, springtime wedding gown. Vintage flair and lush blooms creates quite a beautiful and feminine look on the reception tables. Swiss dot fabric also adorn 1950’s styled gowns with ease and bouts of bridal charm. 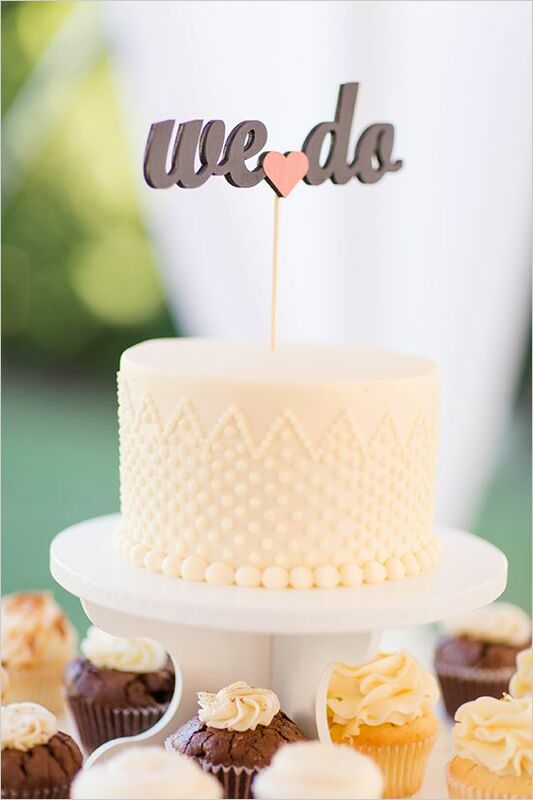 Polka-Dot Inspired Real-Life Wedding Details!